After a discussion about a network of Australian chronically ill and disabled bloggers, we have set one up! It's called Chronically Blogging Australians, and its tagline is "blogging our stories of health and healing". For now it is a closed Facebook group but we have a Facebook page in the works, and we may expand to Twitter and a website in the future. Michelle, Hayley and I are the moderators. 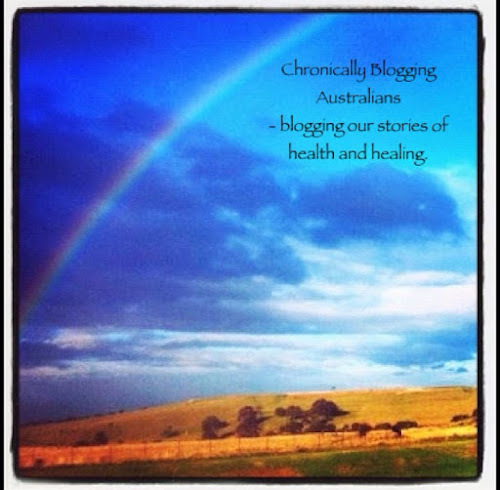 Feel free to come join if you're an Aussie blogger with a chronic illness and/or a disability. The network is about sharing blogs, tips and resources, and doing some challenges, rather than focusing on diagnoses/treatments/cures for illnesses and disabilities (as always, talk to a doctor or psychologist for medical or mental health advice). Hopefully there will be some face to face meet ups too! Blogging has helped me process and share thoughts about living with Ichthyosis, and I have met so many wonderful friends in the process. I receive wonderful messages from people all around the world, telling me that I have helped them in some way, just through blogging. 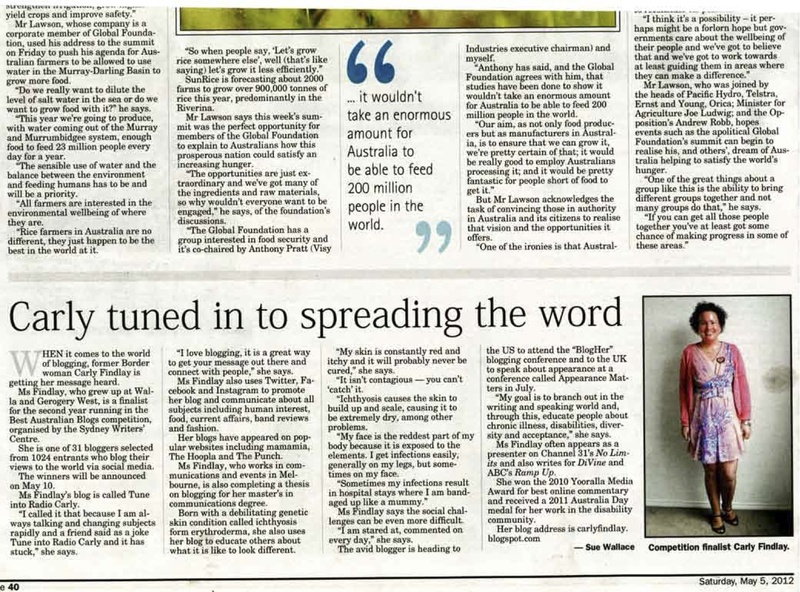 And I even did my Masters thesis on the way blogging has helped me form a sense of identity. I'd love to share my knowledge and connect with other Australian bloggers with illnesses and disabilities. Join here. And spread the word! Hey Carly, I'd like to be a part of this but I don't have Facebook anymore. I guess I should just set a FB profile up for my blog but I'm a little clueless. Any way I can be a part of this without having FB?